Effective skin care and is more than medical science. Here at Orchid Aesthetics Medical Spa in NYC, we also treat it as an art. Our RX medical grade Skin Care products are only available after consultation with a trained professional. Dr. Kerns is a licensed aesthetic physician, listed in the Top Physicians of the World. We know that every person is different, thereby requiring individualized treatments for the most positive outcome. Our medical grade skin care treatments focus on a series of medical grade skin care products and proven treatments selected to meet your unique needs with no risk of unwanted side effects. The lists of products we use in our medical spa in NYC, include both organic/natural formulas and prescription strength medical grade skin care products formulated in an FDA approved lab. By choosing the right formulas based on individual needs, we are able to help just about everyone maintain healthy skin with our medical grade skin care. Rx medical grade skin care contain medicated ingredients at concentration not available on the beauty/spa market. They target specific skin problems and cause dramatic improvements. 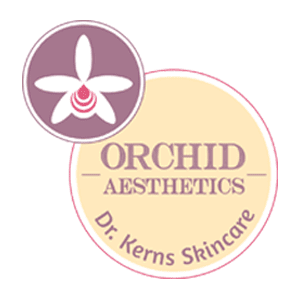 The medical grade skin care formulas used by Orchid Aesthetics Medical Spa include antioxidants that have been clinically tested and approved by dermatologists to control gene expression. These formulas have also been shown to help reduce the risk of certain cancers. You should know that all of the ingredients in our formulas have been tested and subjected to scientific clinical trials. They are proven to work when administered by trained physicians specializing in medical grade skin care. Radiant-C cream – Powerful anti-aging treatment contains a potent blend of 5 types of stabilized, Vitamin C 10%in a rich cream base to nourish, hydrate and protects skin as it fight and reverse the signs of aging. This formula delivers Vitamin C 4 times more efficiently than Ascorbic Acid formulas. Clinical testing of efficacy has shown an 80% reduction in melanin synthesis( pigmentation), as skin appeared dramatically lighter and brighter. Collagen synthesis is increased by 100%, leaving skin more firm. Additionally, free radical formation decreased by 98%, with proven protection against UVA. Vitamin C enriched natural fruit extracts help to soothe and diminish redness and inflammation. Tinted Moisturizer SPF 45 – Formulated as an all-in-one moisturizer, sunscreen and foundation, provides color coverage, minimizes the appearance of fine lines and blends naturally, leaving the skin radiant with a natural, healthy glow, protects form UVA and UVB rays. HQRetinoic or HQRA– Contains a gold standard combination of Tretinoin 0.05%, Hydroquinone-7% and Hydrocortisone to reduce hyperpigmentation and diminish the appearance of fine lines, wrinkles and deep creases. Octapeptide formula fortified with a Trans-Epidermal Carrier cleans, clears and preps the skin. HQRetinoic controls pigmentation by inhibiting melanin synthesis, limiting melanosomes transport, reducing UV-induced pigmentation by 81% with an overall inhibition of excessive skin pigment production and melanin synthesis by 52%. 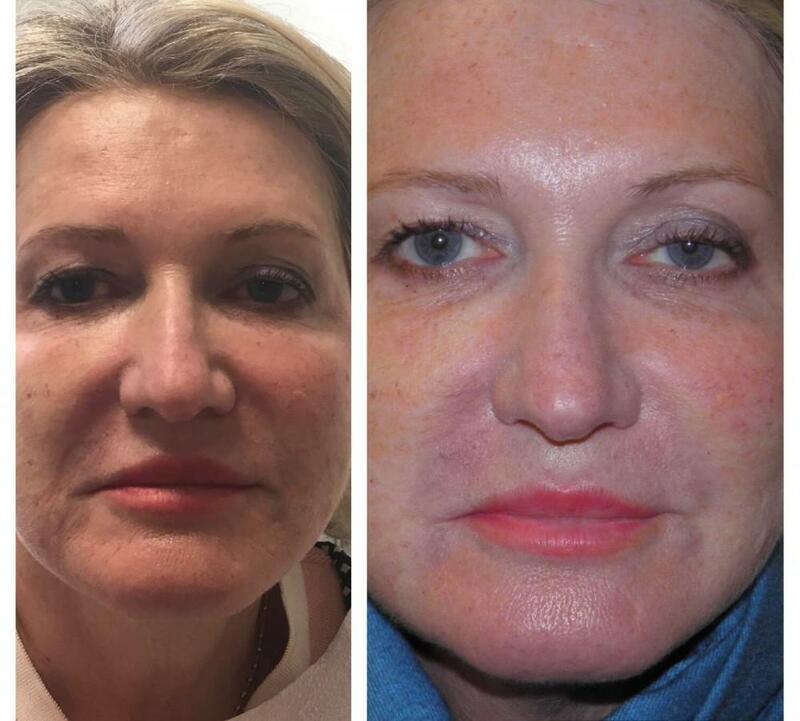 Powerful Rx skin care product available after a consultation with Dr. Roxana Kerns. Vitamin C HQ serum – This potent serum nourishes, firms and hydrates the skin. Vitamins C & E work as anti-oxidants to fight the signs of aging. They protect the skin from Free Radical Damage and stimulate Collagen synthesis. Natural Green Tea diminishes redness associated with the aging process and 4% Hydroquinone acts against dark spots induced by sun damage by decreasing the melanin synthesis to an even youthful tone and skin. Retinol CoQ10 – Contains patented Retinoid Complex (Tretinol®) 0.25% including Vitamins C and E encapsulated with a proprietary Trans-Epidermal Carrier to dramatically reduce the appearance of fine lines, wrinkles as well as hyper pigmentation. Contains Vitamin C, Squalane and Coenzyme Q10. Stimulates cellular regeneration and collagen production improving skin tone. Fights photo aging effects of UVA and UVB. Neutral eyes- Exceptional Eye Peptide Complex which is a clinically proven combination of 5-in-1 active ingredients, with 6 main benefits to reduce the appearance of dark circles, puffiness and wrinkles around the eye area. On the cellular level, peptides and vitamins promote collagen growth, increase the strength and flexibility of fragile capillaries, and stimulate circulation around the eyes. In Clinical studies wrinkles showed a 32% improvement in one month, 57% in three months after the daily regimen with Neutral Eyes. Ultrasound measured skin thickness showed a 4.1% after one month, 12.3% after three months with 15% improved dermis. A 23% increase in skin firmness by Ballistometry was confirmed after Neutral Eyes daily use for one month with 27% more firmness at three months. Rejuvineck- Developed specifically to address the special needs of the neck and décolleté in as few as 4 weeks. Rejuvineck contains a uniquely blended peptide complex that features “Tretinoin-like” activity to promote and enhance cellular regeneration without irritation, resulting in a more toned and defined contour of the neck area. Additionally lightens and brightens skin to correct pigmentation and employs hydrating emollients to improve circulation and smoothness. During your consultation with Dr. Kerns, you will discuss what your needs are and what products will most benefit you. Dr. Kerns will then establish a daily regimen using a selection of her medical grade formulas and, as needed, natural and organic formulas as well. If you are looking for more than just medical grade skin care, Orchid Aesthetics Medical Spa offers a number of other services and treatments you might find very beneficial. For example, our Medical Skin Care treatments target wrinkles, hydration, pigmentation, firming of the skin. It is an inexpensive way to boost the effectiveness of our medical grade skin care program.